Renowned investor, Warren Buffett, has been reported to be backing a consortium bidding for Yahoo’s core internet assets, ITRealms reports. 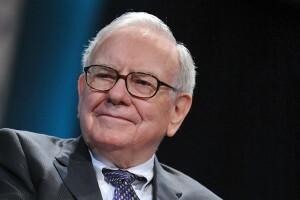 Buffet, the head of Berkshire Hathaway was also reported to be among a group that includes Dan Gilbert, the billionaire founder of Quicken Loans who are invariably eyeing Yahoo internet assets. ITRealms gathered that Mr. Buffett co-signed a letter from the group and pledged money for a bid. Verizon, private equity firms, and the owner of the Daily Mail have expressed an interest in Yahoo’s assets. Last month the search company, hit by falling advertising and weakening investor confidence, shortlisted about 10 potential buyers. ITRealms further gathered that the news of Mr. Buffett’s interest could improve Yahoo’s sale and shares. Mr. Buffett is equally known to have a stake in IBM, even as he recently stated that “something has to change there” on Yahoo’s business which had deteriorated significantly in the past weeks.